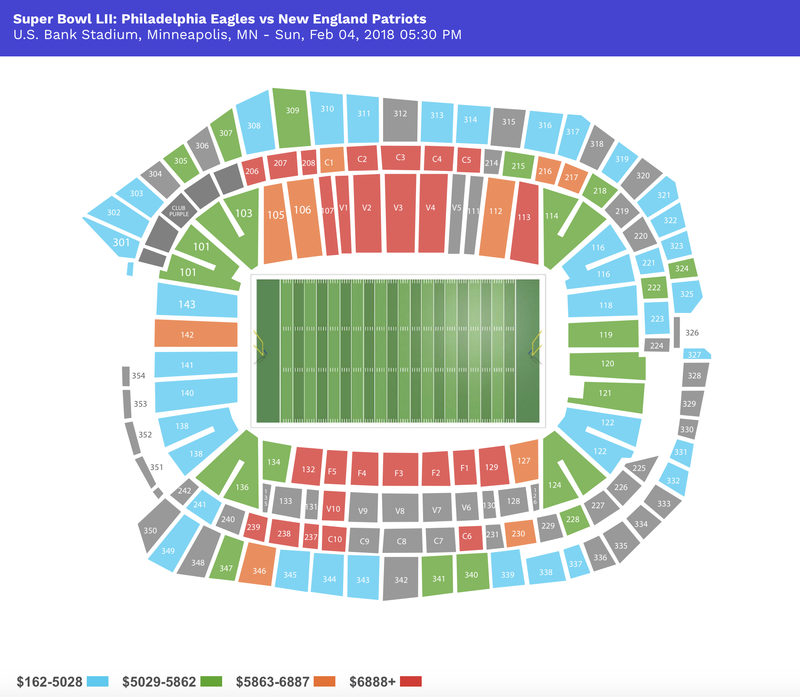 At TicketIQ we are in the business of tracking ticket prices to your favorite events, and this week's Giants Playoff game is no different. Tickets for the divisional match-up in Green Bay are down 21% this week, and have fallen 33% in the last three days. For value hunters, there are now deals popping up (especially eBay) close to the $100 mark. So while demand for this game is relatively low as far as Packer fans go, Giants' fans appear to be taking advantage of the cheap deals. Since their win over the Falcons, plane tickets from NYC to MIL have spiked 322%. As of 2pm ET today, the cheapest fair to get to Milwaukee is $328, or 46% more than the game average of $225. 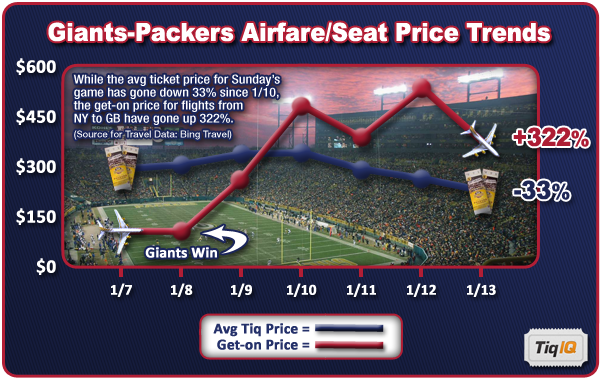 Prior to the Giants win, a plane ticket would have cost you less than a game ticket, and we're sure a few of the true believers took advantage of the opportunity to book a flight. For those that did, an epic weekend awaits. For those that didn't, the cheapest fare next weekend to New Orleans and San Fran are $288 and $320, respectively. Bing Travel says that ticket prices to New Orleans will drop while prices to San Fran are going up. For true believers, we recommend keeping a close watch on airfares Saturday during the Saints-Niners game. As for game tickets, the average price for the NFC Championship in New Orleans is $875 vs. $679 in San Francisco. If you want to make a bet on game tickets, you can always resell them, potentially for a profit. As a company interested in tickets and free markets, we've always thought that it would be interesting if you could do the same for plane tickets. Security concerns, however, make that an impossibility. Instead, just make sure you've got a 24-hour window to cancel your flight, or as an alternative, stay home and save up for the most important game of all in Indianapolis on February 5th.